It’s been an incredible year for us at Anker. We’ve got a bold new look and a brand new site—and that’s just scratching the surface of all the exciting changes to come. We want you to help us celebrate the Anker Upgrade by unleashing your creativity. 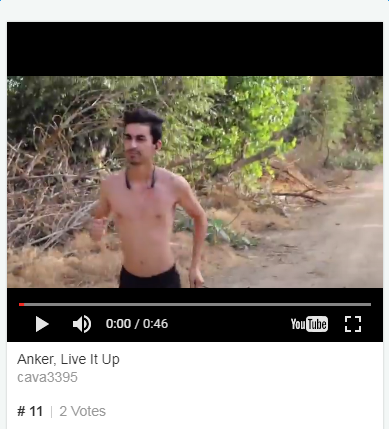 Power It Up is a video competition in which the winners will be selected by viewer upvotes. Create a 1 minute video showing what happens when the power runs out. All of us rely on battery power to carry us through the day. When your battery dies, it’s never at the right time: in the middle of a phone interview, trying to find your way to the night’s party spot, or having a heart-to-heart via text while in the checkout line. We’re asking you to illustrate some of those funny, embarrassing, or awkward moments, reminding us why we’re grateful that Anker’s always here to help us Power It Up. Keep it under one minute. Stick to the creative prompt (“running out of power”). Keep it clean, lighthearted, and family-friendly. We’re super charged-up to see what you create. Head over to our new Power It Up page to get started. Fame, fans, and a $2,000 prize await! Contest runs from July 31st, 12:00 AM PDT to August 18th, 11:59 PM PDT, 2017. If you guys want to know more rules, click the link to learn more. Is it hard for you to make a video? Question @AnkerOfficial ...Is this a US only thing (due to the dollar amount)? Haven't see this question answered anywhere. Not US only, we encourage everyone who have creative idea could join this campaign! I have added my video please go see it and if you like it please vote! THANK YOU! Which one is you? # ? Is that you haha? I really enjoyed the video, and I will vote for you!! The runner is my little brother. And im the medic. Thank you @AnkerOfficial! Haha it's great! I already voted today, but I'll vote for you tomorrow.